A bit pissed for my last week trade. I have been doing the same mistakes over and over again , not able to get out of it seems. I’m ok with technical expect of my trading but psychological part is taking a toll on me. I’m feeling constant pressure of winning, therefore, I’m unable to give away pips, in other words, afraid of losing. If i don’t give pips how would i able to gain pips ? Big problem. So next week, I’ll have to tweak my mind not to have fear of losing. After all these chaos, i still had a very small profit which I’m happy about. I’m delighted that i’m able to carry on winning streak consistently for a 6th week in a row now. never in my life had i had this sort of success in forex. Starting this year, my philosophy was to take care my “down”, “up” would be automatically taken care by the market. Which was ok up until this point but i guess I’m just thinking of my down way too much. I need to get out of it real quick. 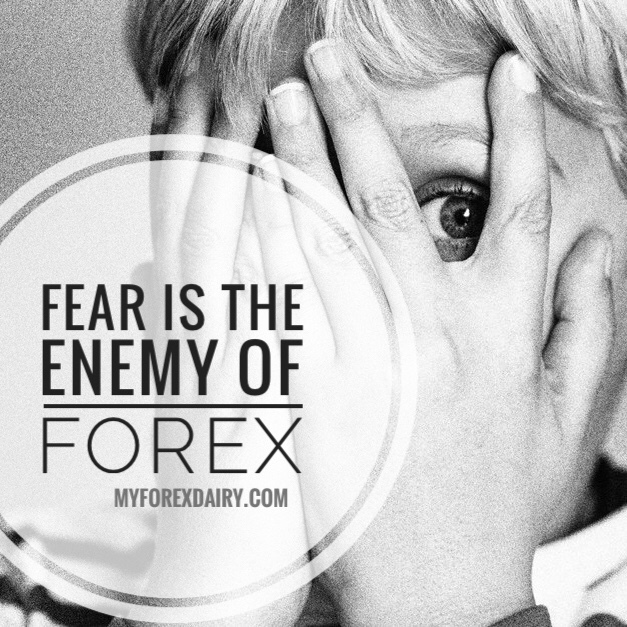 Fear is the enemy of Forex. So here I’m after 3 years, still doing mistakes and learning from mistake. I’m totally aware that it is a vicious cycle. It will continue to go on like this till i get better at this. Still up on the month , hopefully i can finish this month on top.